Day #4: The Amex and Learnvest $400 Giveaway! To help recent grads live more independently and establish important skills, American Express and LearnVest introduced two free online resources aimed at helping twenty-somethings better manage their money and their careers as they transition from school to work. 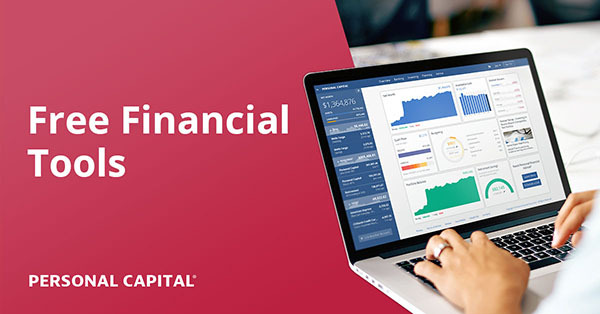 These 10-day online financial bootcamp programs cover a range of topics from setting career and financial goals to learning communication, networking and salary negotiation skills. The free Build Your Career and Take Control of Your Finances bootcamps are available at www.learnvest.com/amexbootcamps. Christine Hassler left her successful job as a Hollywood agent at 25 to pursue a life she could be passionate about . . . being a Life Coach. In 2005, she wrote the first guide book written exclusively for young women, entitled 20 Something 20 Everything, and then published her second book not too far later, The 20 Something Manifesto, which was written for men and women and stems from her experience coaching twenty-something’s. Today, she supports individuals in discovering the answers to the questions: “Who Am I, What do I want, and How do I get it?” Christine coaches with a counseling emphasis specializing in relationships, career, finances, self-identity, personal and spiritual growth. Her expertise is centered on the twenty and early thirty something years of life, and she is passionate about busting the myth that the twenty something years are about living by a checklist and having it all figured out. HOW TO ENTER TO WIN TWO $200 AMEX GIFT CARDS! What’s a question you have around finding (or landing) a good job in the current challenging market? Or a question on anything else career-related? PS: For this particular giveaway, you MUST be a resident of the U.S. Sorry! PPS: Get ready for an even CRAZIER giveaway tomorrow! You won’t wanna miss it! How can I make myself more competitive against those who already have jobs? If headhunters want those already in the workplace, how can I show that I have or can learn the very same skills as those currently in the marketplace? Dude, when did Christine Hassler make her way into personal finance? Gen Y coaching must be drying up. She is a washed up coach trying to remain relevant in a field she knows nothing about. Learnvest is even worst because they only cater to affluent women with money to spend. How do you find a passion and create income from that? What steps do you take? How do I best explain a gap of several years in my resume? I was homeschooling my children before returning to college myself. While the skills I used in raising and educating my children are of course valuable, I’ve found it challenging to translate those skills into “resume-speak” when looking at how to present that time period to prospective employers. Why are corporations asking for X amount of years of experience for almost every job, when most people looking for jobs are either coming right out of college or unemployed. How can someone make the jump from non-managerial job to a managerial position without the experience under your belt? Where can I find the confidence to leave my current “going nowhere”/stuck-in-a-rut job? I have a decent salary and benefits for my field, but I just feel stuck. Someone else please give me a push out the door and onto something bigger and better! What are some the most satisfying jobs for those looking to start semi-retirment? How do I find internships that don’t require you to be a college student? We read that we’re supposed to follow our passions – find a way to incorporate the things we love into our careers. That’s a lofty aspiration, given that anyone looking for a job right now (LIKE ME!) struggles just to get an interview. What advice do you have for job seekers on finding not just a job, but a position that we’ll enjoy, in this type of environment? If that’s not possible, at what point do we give up on a job we can be passionate about, in exchange for one that just pays the bills? How can I best present myself in year-end reviews? These are the times when people can make or break promotions, raises, perks, etc., and it’s difficult to know how to walk the fine line. How can I make myself stand out against other applicants who have more experience than me? What is the most important (one) quality that employers are looking for in under 30 applicants? How do shy people get over the “money talk” hurdle? I know you only get what you ask for, but asking for money seems so inappropriate! And I hate leaving it up to the HR people to be “honest”! Necessecity is the mother of invention. I find that I encounter more people whom have lost their job and launched their own company in this economy are thriving. The interesting part is that they needed to have something catastrophic like that happen in order for them to take the plunge otherwise they would not have taken the chance. The idea of walking away from a steady paycheck was too risky but when forced to do so they blossomed. Why do you think people are so scared of risk and walking away from a safe paycheck in order to start the company they dreamed of and be their own boss? There are some people in my industry that I haven’t made a great impression on, and I’d like to overall rebuild a great reputation. Not that I’ve done anything wrong, I’m just not seen as a “star” – how do I change their perceptions? I’m actually starting out doing job-search coaching for new grads and young professionals as a side business because I have experience in that. So my question is a bit different, which is what that specific group of job-seekers most want help with when landing their first job out of college. Hi there! I’m a hairstylist and I love my job, however there has always been a fear in the back of my mind that something could happen to me and make me physically unable to do my job. What sort of jobs are the best and highest paying for people who have learned a trade and don’t have college degrees? How much of your true personality should you show when doing an interview? I read that we should be open, honest, and candid, and engaging in interviews when I feel like some of those traits are lies about how I will be in an office environment. At work I like to keep to myself and do my job but I don’t have a way of expressing this in an interview without coming off as being cold and uncaring. How long are you supposed to stay in one job so that you dont look like a flake, but also that you are ambitious? What kind of advice do you have for young people who live in very rural areas and want to stay, but can’t find the job opportunities they need? How do you convince a larger corporation to hire you to work from home in a home hundreds of miles away from a home office? When do you know it’s time to move on to a new, higher-level position? When it comes to breaking into a field/market, it’s all about “who you know” and people with contacts inside the company get in way sooner than anyone else. How do you recommend networking to get a quality job? What are the pros/cons of working at a large public company vs. a small private company? Should one have experience at both? I work in an event-driven non-profit. What are some of the best ways to show dedication to the job, while innovating and keeping from getting bored when the nature of the work is very cyclical? How do I do transition into a mangerial role? If I already have a good job I like, at what point should I be content with the job I have over looking for something better? Job dissatisfaction is extremely high at my company. What can employees do to increase their individual morale levels? Also, what’s your best advice for maintaining work-life balance in a technology driven age? When you decided to give up your career to follow your passion, what was the biggest hurdle to that, and how did you overcome it? I am a freelance writer and editor, and I love it. My question for Ms. Hassler is: What kind of recommendations would you make for increased financial stability to freelancers and telecommuters, no matter if they are new in the business or seasoned? How can you go about switching from front line employee to a manager role? Will an internship really help me land a job or should I do an independent study where I can volunteer and job shadow at more job sites? If I am happy with my current job and career progression, how do I keep from becoming complacent in my daily work activities? How to appropriately bring about the salary topic in a job interview? As a recent grad, how can I show a potential employer that I’m a good candidate even though I don’t have as much experience as they often say they’re seeking? What career fields have the most staying power in our current economy and for the future? I’m thinking tech and health care will continue to be two of them, but what other industries should I be considering? How do I show the employer the potential I have coming out of school with only limited job experience? In today’s market do you stay focused on your ‘ideal’ companies to work for or should you compromise somewhat and look to similar positions at slightly less than your ideal place to work? My brother-in-law has a Bachelor’s and a Master’s in Political Science. Apparently he can’t find a job in his field so he has been working as a waiter at Applebee’s. My question is: Shouldn’t my brother-in-law seek out a more professional office job, say in banking, even if it isn’t in his desired field or his “dream job”? Won’t prospective employers be unimpressed by the waiter position listed on his resume? How would he be able to win over a prospective employer given the fact that he has no professional experience? I love my job, I am fortunate that my company is actively helping me with my career development plan and I have an opportunity to switch departments in to a new (also entry-level) role. I’ve been with my company for over 18 months and have gained a lot of experience. But how do I ask for a raise when I transition in to a role when I don’t have any direct experience in that area? How do I handle getting a job after staying home with my kids for a couple of years? My question is: What is the best way for someone who has not yet completed a degree (due to financial reasons) to make themselves a candidate for positions? I find that with the current level of un- and under-employment, it is difficult to get even a retail job when competing against those with degrees. Hi, After working for a few years you invariably get into a “mid” zone where you are too experienced to be considered junior but still not have enough years of experience (say 10 or more) to be considered a senior level guy. What is the best strategy to maximize your earning potential as well as accelerate the transition during those few years? How can you stand out amongst so many applicants? How can someone who has reached a “mature” age compete with all of the young educated nice looking young people? Do I REALLY need a personal website to get a great job? I hear lots about having a personal website or starting a blog to improve your personal branding, etc, but I don’t have the time or interest in starting a blog or website. I currently work for a non-profit that I love and is really flexible for me and my familiy. However, I don’t make much money at it. I am always having a hard time deciding whether the flexibility is worth the little money I make or if I would be better off going elsewhere where I could contribute more in a financial way to my family (i.e. get out of debt faster)? There are other jobs out there that I would be interested in, but my above concerns, topped by the crazy job market, make me feel like I should just stay where I am at. Help! Great opportunity to ask a question! Here’s one…. My husband is considering a job change (same field, different company). Is it better to make a lateral move or hold out for a higher position like he wants? We work in the not-for-profit sector and he would like a higher up position in a company, but knows he could make a lateral move (same position) much quicker. What’s better at this time in our economy? Do you think that “Do what you love, the money will follow” can simply mean that if you want a job, you go for the one that you are capable of getting and doing rather than the one that meets your desired income level? My question is: How do I make myself stand out in the last stage of interview among last five qualified applicants? What does the company look for to reach the final decision at this point? I’m always curious as to if or how much it will hurt me to leave a certain job field (say, engineering) and do something else for a year or two and then try to go back. Will it be an uphill battle, or not as bad as I’m thinking? How do you transition into a new job where you have little direct experiene, but expect to maintain the same level of compensation and responsibility that you have in your current job? I am having difficulties advancing my career and taking more responsibilities mostly stemming from the fact that I don’t want to take more time away from my children. Is it possible to get to a point where its too late to move up? How do I convince my boss that I can do my full time job in less than 40 hours while still keeping full time pay? They obviously don’t want to promote me and I don’t qualify for overtime, so the only incentive I have to stay is less hours at work. Do you feel it is still feel it is necessarily to include an objective on a resume, especially when you are writing a cover letter? While slogging through over 100,000 of student loan repayments, is it appropriate to drink a half bottle of bourbon a day? How can you build career confidence when you’re self employed? How do you juggle so many clients and still make each client happy? How do you manage your time? That’s the big question of the year for me! What are the top 5 tips for new college graduates trying to find work in the economy when everyone wants you to have so many years of experience? Do you suggest recently college graduates going straight to graduated school? I understand that they would probably earn more with the post-grad degree, but with no working experience, accumulated student loans and no net worth, is it worth?? There has been a lot of argument about “Is a college degree worth the cost?”. So, I would take a step further: Is a graduate degree worth the cost? It bothered me that from time to time, you heard some professionals (lawyer and doctors) are struggling to pay off their student loans. And, I think some people are avoiding to enter the job market now by continuing education. How do you best show your worth as an introvert in a introverted position (research) in an extrovert-domianted field (communications)? I’ve always heard that it’s good to network when looking for a job, but I always feel guilty using my personal connections or friendships for professional gain. I’m sure that I can’t be the only one that feels this way – do you have any advice for me? How do you approach someone who may have a connection? How do you get over the guilt? How do you convince yourself that you’ve been hired for your qualifications and personality, rather than because you know the right people? My job search related question is: what percentage over my current income makes a cross country move worthwhile, and where can I find reliable COL differences in the new place, and my small town? How do you explain short time lengths at jobs due to being laid off due to the maket? I feel that people look at my resume and see that I have had 3 jobs in the past 4 years and are scared of hiring me due to me leaving and looking for better employment. That isn’t the case at all! I am a very loyal employee and work hard with a lot of good experience. I’ve been a stay at home mom for the past 4 years, how do I explain that gap in employment without it screaming “I’ve got kids and they’re my #1 priority!” and possibly scaring them away from hiring me? What are some items that should be added to a person’s resume in this time of social media and technology in order to keep on the cutting edge? What’s the best way to keep in touch with your contacts and network for a job, without coming off as annoying? I’m so tired of writing cover letters. I hate them! How can I get past this hangup and stay motivated? It’s so hard to write a compelling cover letter when sometimes I’m not even sure if I’m truly interested in some of the jobs posted. For a company with unwavering benefits? Would you recommend more schooling (masters) or keep working for experience? I have been out of school for a few years and would like to move up in the university I work for, but don’t know which is better, education or experience. If I want to change industries, how can I do it without going back to school? Getting a job in a new industry without prior experience is next to impossible it seems. How do you balance working on a side business while also holding down a full-time job? I know so many Gen Yer’s who have side hustles going on, but also know they need some security until they get off the ground. How can they (us?) make sure the day job and dream job both get our best? What are some tips on maintaining honesty in an interview while still telling the interviewer what they want to hear? How can I find a job I’ll actually enjoy, as opposed to a job that is just work to make ends meet? I am considering moving to another state. What is the best way to find a job in another state & living in a different state? Any advice on how to go back to school for the career I want, incorporate some of those skills into my current position, and pay for everything? How can I position myself to stand out amongst all the recent college grads? I have some unique experiences, but I want to really make sure employers notice my resume and hire me! Is it better to stay with a company where you know you may be able to move up and gain experience quickly even though the company isnt very stable, or to look for a position at a more stable company that may not have as much opportunity? Do you think it is valuable to role play / conduct mock interviews in preparing yourself for the inevitable plethera of interviews endured during a job search? How do I know when it is time to move on from my current job in order to progress in my career? I love my job but also need to be challenged and just don’t know when it would be right to pursue other opportunities and how to go about that. If I have an advance degree in one field but would really like to try something related but just a little different, how can I get someone to let me try the transition without going back for yet another degree? How do i write a resume that makes me look marketable to employers when i am trying to change careers? How do I prepare myself for a return to the workplace in a few years? I’m a full-time stay at home mom and have been for almost 3 years. I plan on being at home for another 5 years, financial situation allowing. What is best way to start finding clients to start freelance writing, without leaving my full time job? I have a very specialized master’s degree that I cannot use to get a job without more schooling. Will putting it on my resume help me stand out from the crowd, or should I leave it off so people don’t wonder why I’m looking for a job in a different field than my schooling is in (or think I’m over-qualified, both of which I’ve heard before)? What is the best way to make sure you follow the right career track at work and don’t get looked over? When you walk away from an interview, what are the top three objectives you should have conveyed to the interviewer? What are your thoughts on continuing your education during a recession, do you think it will pay off in the future? Q: When your education/work experience/career field is less in a particular job arena than that of what the job announcement asks for, how should you convey yourself on a job application and what specific interests can you explain to them to compensate for lack of? Q2: Should one move from a particular company if the company is on a income raise freeze and how do you find out if this may be similar circumstances for other campanies in the same field or arena? What questions should I be asking myself to figure out how to grow in my career? How do you “sell your skills” and get potential employers to look past your educational background? I didn’t go to college, but I’ve been with a small company for 7.5 years handling every thing an accountant and marketing exec with a degree does. I’m fully qualified for positions based on my knowledge and experience, I know all the programs, yet no piece of paper = no consideration it seems. When considering a possible transition to another job out of state, but in the same field, what are the most important things to do to make yourself more marketable and more appealing as an employee? My question is…I have a college degree however, I seem to have problems landing a job I really want because I haven’t worked in a while because I am a now stay at home Mom. Should I take a job I am over qualified for just get myself back out there? What is the best way to better my circumstances and opportunities if my college degree is general and I can’t afford to go back for a graduate degree? While I currently have a job, what is the best way to prepare myself to move up to the next level? Management courses? MBA? Would that be worth the investment? How does a twenty-something get back into the market after several years of not working due to illness? Esp if the twenty-something had limited job experience before she became ill. Thanks! How do I explain the gap in my career? how do you find passion in your (rare) spare time and make money from it when it is something as trivial as crafts and when it seems like everyone else is doing the same thing? How can I keep my costs down while looking for a job out of state? How do I convey my worth and year’s efforts during annual review time without sounding arrogant or like a show off but also not selling myself short? What’s the best way to approach a job search in a city other than the one where I live? I’d really like to move back home, but I’m having a hard time finding a job. How can I follow my passions with an unstable economy and more school debt than I can deal with? How do I add meaning and excitement to my career? Thanks! How do you avoid getting a gap in your resume if the job search stretches out for too long? how do you recommend keeping a balance between a financially stable lifestyle (staying debt free, good credit, savings/investments) and still being a 20-something enjoying life and not being constantly worried about the future? What are your best tips for overcoming anxiety and nervousness during an interview? How can women stay relevant in the workforce while taking time out to raise children? What should I consider before making the move to stay home (pros & cons)? Is there a time limit on staying home? How long is too long to try to reenter the workforce after taking time out to raise a child? I chose to stay home with my son until he gets into HS. I have another 1.5 yrs until he is in there. What is the likelihood of me being able to get a job if I don’t have any skills other than taking care of a home and family? I’ve gone from homemaker to career woman to business owner, and I would love to know how to improve myself as a boss. I have a microbusiness with lots of togetherness in the office, and I need to know how to successfully walk the line between collegiality and friendship. How can I best inspire great performances from people I really like? A lot of large corporations ask you to apply online and won’t allow you close to a decision marker. Is it best to apply this way, or keep calling within the company until you get a hold of a person within that department? What are some receesion proof careers to get into now? How can I enter a new career field after almost 10 years doing a ‘niche’ type career *without* going back to school? How can baby boomers compete in the job market against younger job seekers? With over 20 years career experience, eight as an Executive Assistant how do I get past the autoresumebots that insist I need a Bachelors degree to apply for an Executive Assistant position? If people not pn your reference list are called, how do you know how to thank them? How do you decide what matters more: better pay/advancement with not great benefits/time off or conversely average pay with awesome benefits/time off? What’s the best way to approach completing a “Goals and Objectives” plan at work when you are totally struggling with deciding on a long-term career path? I’ve been a stay-at-home mom for the last 5 years, but was an accounting professional before that. I’m considering getting back into the job market. How can I help make sure my “time off” (not at all how I see it, but I know some employers see it that way) is not a liability in my job search? When applying for a position, how do you differentiate yourself when there is so much competition out there without being gimmicky? When there are office politics that totally change the office dynamics (the whole upper tier of management changed) what should the long term employees do to be seen of value instead of being seen as needing to be replaced with outside contractors? How can I land a job out of college that will enable me to live on my own AND make my school loan payments? How do you know it’s the right time to make a career (or even job) change? Financially, professionally, etc? Is there a such thing as a right time?! How do you start a side business that you have a passion for and transition it to be your main source of income? I want to know how to make yourself sound and appear marketable when you’re a mom with kids. I feel like employers don’t take me seriously because they think I’ll quit to stay at home, even though I have a 4-year engineering degree! What can I do to make myself more valuable to a company? Should I get my masters, or specialize in a specific software application? I am working to transition into a new field where networking is essential. I’ve been going on a lot of informational interviews, but how do I effectively maintain the network I am creating? I understand networking is a big thing to do for job security and keeping options open for your future. I was just wondering…how exactly do you network effectively if you have a somewhat introvert personality? After 22 years with one company, working in roles that are not always precisely defined and very specific both to my abilities, interests and company needs, how would I market and define myself to prospective employers? does it matter if i use a friend’s address in the city/state that i want to move to on my resume? I am in a career that has no promotional opportunities. To increase my income, I have to transfer to another career or position outside my field. How can I show that although my experience is in a different field, I have the skills to transfer to another position that is not entry level? I think the big question everyone should ask is how to find out more about the “hidden” job market. It can be difficult to learn about the jobs that are never advertised, but often times, these are the jobs that have the best long term potential. How do I ask for a raise at work when I know how hard this small business is struggling just to keep the doors open? I’m burnt out on my job of 7+ years and feel trapped by my company’s “fuzzy handcuffs.” They’re not golden because the pay is low, but they’re fuzzy & comfortable because I have awesome benefits and have a flexible schedule. How do I rekindle my lost passion for my work? Or do I just make the decision to move on? How do you best list military officer skills on a civilian resume? It is very hard to “translate” military jargon into something civilians can relate to. Yet, as a military officer, one leads hundreds/thousands of men, has a spending budget of hundreds of thousands of dollars, is in charge of .millions of dollars worth of equipment, etc. Thanks for your time and the opportunity. What is too short of a time to stay at a job and when are you better off just omitting a job on your resume whether the work isn’t applicable or it was only for a short time? At what point do you make the decision that a lucrative job isn’t worth the price you pay for it (losing time with family)? How do you determine the tipping point when jobs aren’t as plentiful as they used to be? What are the top 3 skills employers are looking for? My college hosts professional networking events often, but after meeting someone only once for a few minutes, it is awkward to stay in touch with them afterwards. Any suggestions for how to stay in touch with professional connections without being bothersome? I have a friend who hasn’t found a job and graduated nearly 7 months ago. When she actually starts getting interviews, how should she explain this gap? Right now she works in retail as a shift manager, but it’s completely unrelated to her major in college. I have had the same job for 10 years but am looking to go into a new field. How can I tailor my resume to a job that is outside of my field? I’m in my early 30’s and my last job was in sales and account management. My company failed after the economy came tumbling down. In the 3 years since I was laid off, I’ve applied for every type of job out there — jobs on the same level as my old job, jobs at a higher level, and jobs at entry level. I’ve gotten nothing. Out of desperation, I’ve actually started applying to jobs at fast food chains, jobs at the mall, etc. It’s certainly not ideal, but I feel it’s what’s necessary. So my question is this: In this economy, where getting *any* job seems to be impossible, am I supposed to take whatever job I can find (even if it’s making sandwiches at Subway)? Or do I need to worry about what’s going to happen in a few years when a potential employer asks me why I would be working at some place like Subway? It seems like the ultimate Catch-22 — either I stay unemployed, or I become employed now and risk unemployment later. Should we consider a job in the public sector (government) now despite the budget troubles and retirement issues that lie ahead for public employees. Is continuous employment up until retirement a thing of the past? And what advice would you give to someone who is afraid of being laid off to the point where they delay long term moves such as a 30-year mortgage? Part of my current job includes viewing many different people’s resumses. Lately, I’ve noticed a lot of people including pictures on their resumes. I see not just young and hot people applying for bartending positions, but older people applying for sales and other professional postions. Some even show pictures of themselves with their children. Is this the way of the future? Or is it just another way to answer some of the questions interviewers are not allowed to ask, age, race, religion, etc? What is a good tip for a Mom who has stayed at home and now wants to work even just a few days a week? I actually have a job and we’re trying to fill three new positions… my question is why we’re having trouble in this economy and job market finding people who 1) can create a good-looking resume without grammar errors or typos, and 2) are qualified and seem really talented. I’m in disbelief, frankly. Is it our job posting quality? Is it that we have unusual jobs to fill (creative+business)? Since graduating college I have had two jobs. One contract and one permanent. Since I graduated at the end of 08 there was literally nothing available and it took me a year to secure my first “grown up” position and that was conceding to a contract position where I was currently an intern. Then last Summer I secured my current job, mainly for because it offered “real” health insurance. Both of my jobs I took purely out of necessity instead of trying to find what I am truly interested in. I keep worrying that the longer I am out of school without relevant work experience the harder it will be to cross back into a field the interests me. In this economy, any advice for finding THE job instead of just A job? Should I continue looking for the job I want, when I know my current employer made a big investment in hiring me? I just feel so guilty and so ungrateful. My job has a two year “train in” period where you essentially are a drain on the company finances, oh and i’m 1 of 12 employees. Also, any tips for buckling down and doing a job that you’re not interested in? Again, I feel so guilty and so ungrateful, but every single moment im at work every fiber of my entire being fights against it. I can’t focus, I’m miserably depressed. I know I need this income, but this is beyond square peg, round hole. How can someone who is still in college make themselves an appealing job prospect with a thin resume? How do I become effective at networking, not just LINKEDIn? How do you decide rather or not to take a low paying job (lower than unemployment is paying) or stay on unemployment? I’ve done PR for a state environmental agency for the last four years, focusing on water issues. It’s my only post-college PR experience, and I feel like I’ve painted my resume into a corner. At this time, it seems that most openings in my field are for tech subjects. What is the best way to show potential employers that my training carries over, and that I am capable of learning quickly? How do I navigate being friends with the people I work with while still keeping work professional? Hello…this may sound crazy, but I currently have a great job ( $ & perks) but I have no skills! What can I do to prepare if things should turn bad? Thanks, and happy holidays! What’s the best way to motivate myself to try my hand at writing when a full time job, family and life in general needs attention? If you are out of the workplace for several years while raising your children, is it a good idea to put volunteer activities on your resume? I have recently transitioned to a new manager who has a totally different management style from my old manager, who hired me and mentored me. Tips for making the transition easier and making the transition successful for me? We’ve been told that it’s important to change jobs every few years, but what if the place you’re working at is great except for the ability to move up within the company because of the size of the department? I just graduated from colege how do I show employers that I have experience though it may not be as extensive as other peoples? For instance I took two internships, how do I make that sound impressive. My question is this: What would you advise to a college student (looking for work) with no previous work or volunteer experience? What is your best advice for some one who has a job, but is struggling to findwant they want to do for a career long term? How can I inspire the father of my baby, to get out into the work force and make something of himself? I am not money hungry, I would just like him to set a good example for our son. Also, I would like him to feel a sense of pride in his accomplishments. How can I get him out the couch and into the workforce? I love him dearly and do not want to leave him. How to negotiate the base salary when you know you are going to take the job? Will asking for more back fire and that they don’t want to hire you? I have a county government job that I’ve held onto by the skin of my teeth. I’ve also tested and achieved a spot on a promotion list. Is it better to stay with the position I have or move to a higher position that puts me at the bottom to possibly be eliminated if things go any further south? I have interviewed and not gotten two of these positions — both were eliminated before they finished the hiring process! As I am approaching my late 20s many if my former college friends are mOving up the career ladder and becoming managers and above while I find myself stuck in a perpetual entry level type titles. What is the best way for me to look for a next step type position outside my current employer? Would you accept a job offer at a high paying job ($150k) that requires you to work 80 hrs per week, or a job that pays half that requires only 40hrs per week? How can I differentiate myself from the crowd of job-seekers? How can I show that I will add value to the team? What are some technical questions I can expect to be asked by interviewers in the financial services industry? I hear a lot of people going back to get their Masters degrees to stay competitive in the job market, do Masters degrees carry the same weight as they used to? Is it worth the financial investment to get one? How can I convince potential employers that my previous career is an asset even though it’s not in the same field as what I’m applying to? Is it worth spending my own money to get a professional certification in your field if your current employer (who you don’t have any immediate intentions of leaving) won’t pay the costs of the courses or to take the test (~$2,000)? What can I do to make my resume stand out? And should I leave it just one page, or is it ok to extend 2 pages? I am self-taught in java script, captivate (for e-learning), flash and a few other areas. How can I emphasize that I know this stuff, without ever taking any real courses. I’m in the over-40 set, so my question is how to I market myself to a potential employer (apart from my experience) when I’m competing with people half my age (who generally speaking can accept a lower salary)? I sometimes think that my age immediately puts me at a disadvantage in a job interview. How do you know what are your core strengths and find a job that uses them so you enjoy going to work everyday? Should you negotiate salary at the first interview? How do you list “passion” as a qualification? I am passionate about a particular topic but I don’t have the necessary “experience”. I am currently going thru a divorce, and I have been a stay at home mom for almost 7 years. With that in mind, my resume looks pretty blank, I am dreading that time during an interview when I am asked, “what exactly have you been doing the past 7 years?” What are some great pointers for those kinda questions?? How should a full time employee go about researching a potential expensive grad program and balance the two? Previous post: Day #3.8 – $25 Gift Card to Ta Ta Ta TJ Maxx! Next post: GIVEAWAY FINALE: An HP Envy 14 “Beats” Laptop! !